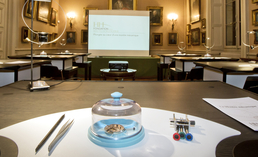 Young people who are drawn to a career in watchmaking have two possibilities open to them. One is an apprenticeship, with time shared between the classroom and the workplace. Alternatively, they can choose academic study at a school of watchmaking, a technical college or university. 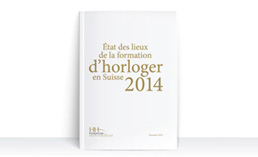 Holders of a Swiss school-leaving certificate (maturité gymnasiale) can enrol on a Bachelor's programme at a university of applied sciences after one year's on-the-job experience in their chosen field, or in the first-year Bachelor's programme at École Polytechnique Fédérale de Lausanne. Initial vocational training provides the theory and expertise required to practice a given profession. A two-year course leads to a federal vocational education and training certificate (AFP). A three or four-year course leads to a federal vocational education and training diploma (CFC). A federal VET diploma can be completed by a maturité professionnelle technique or a maturité professionnelle artistique, a general curriculum which qualifies students to move on to tertiary-level education.